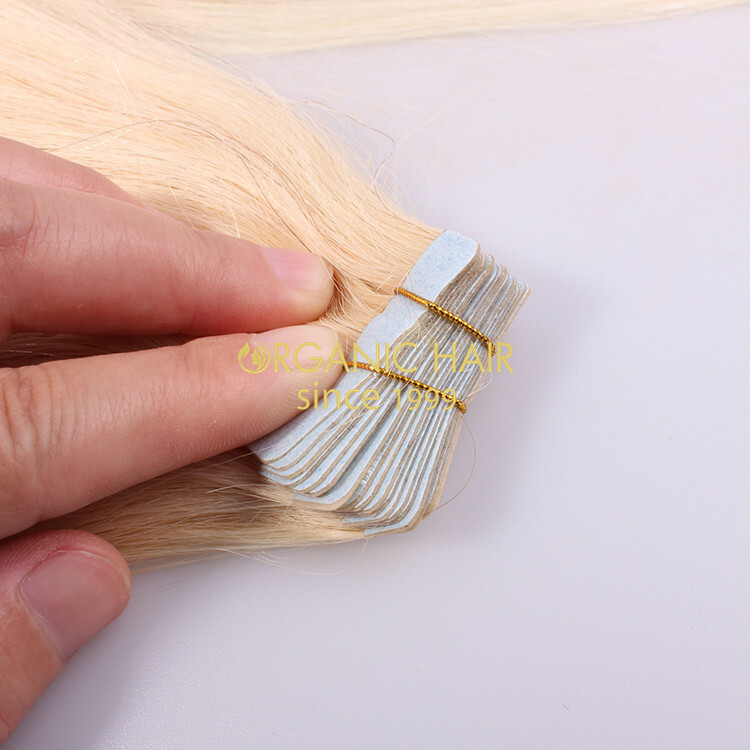 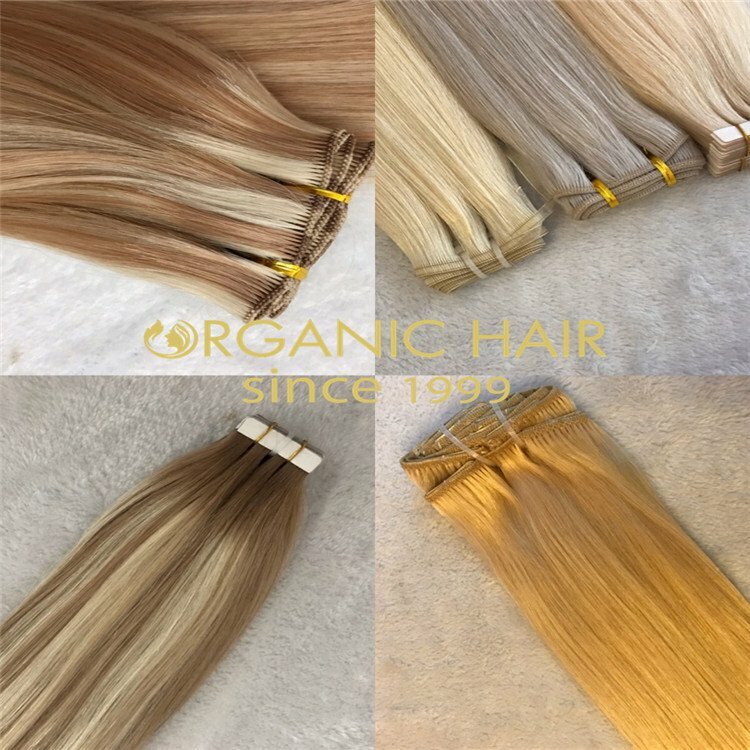 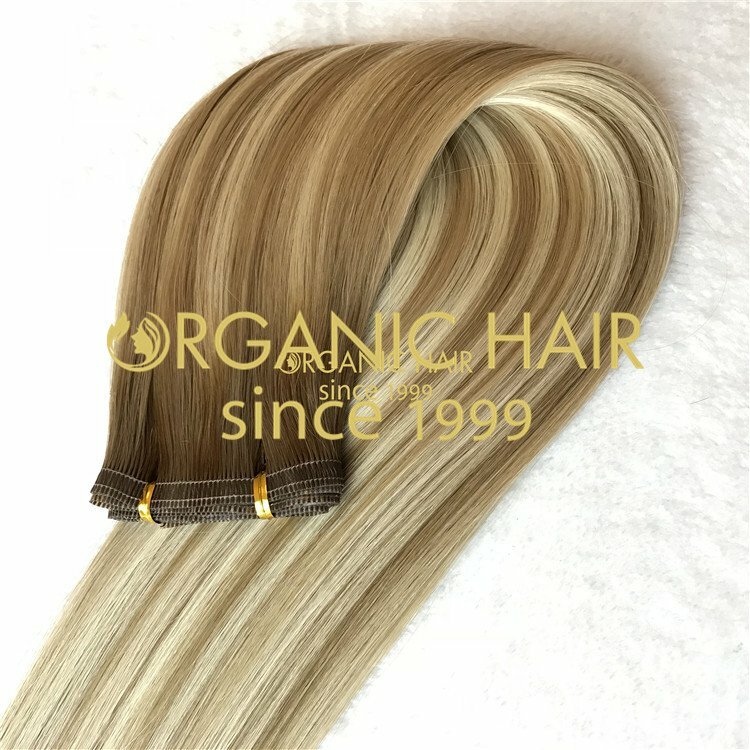 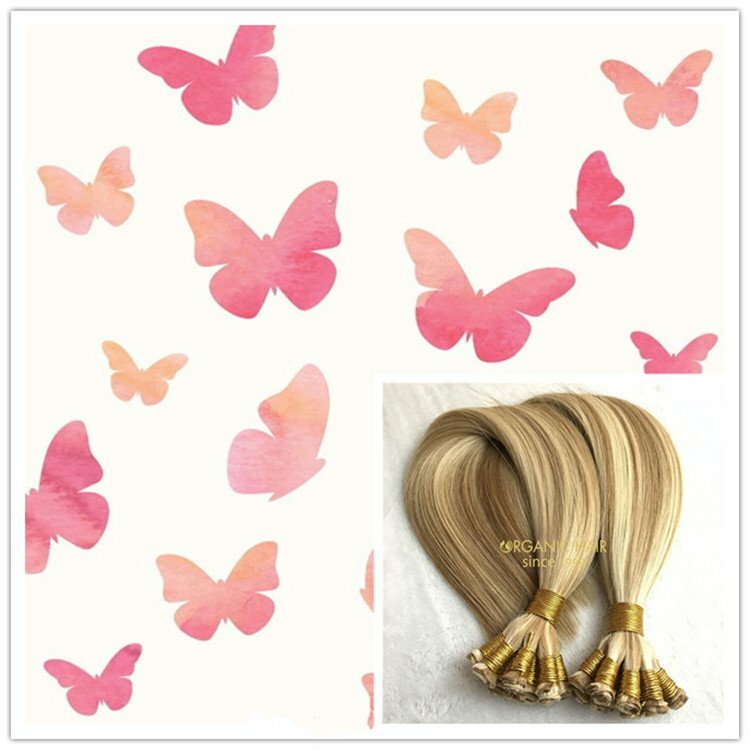 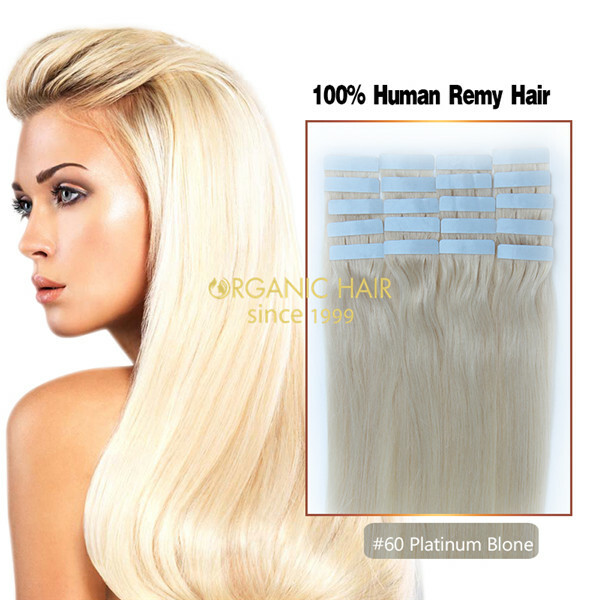 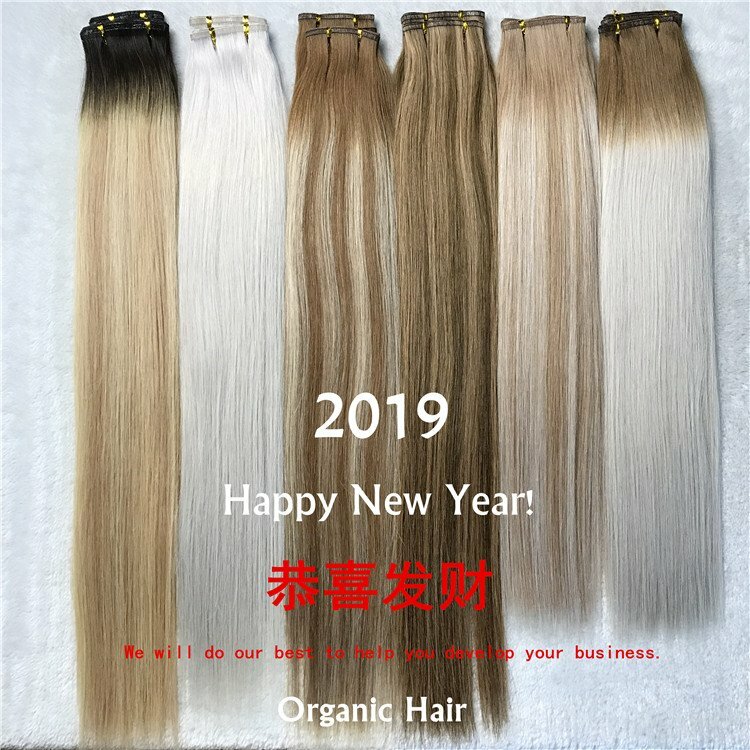 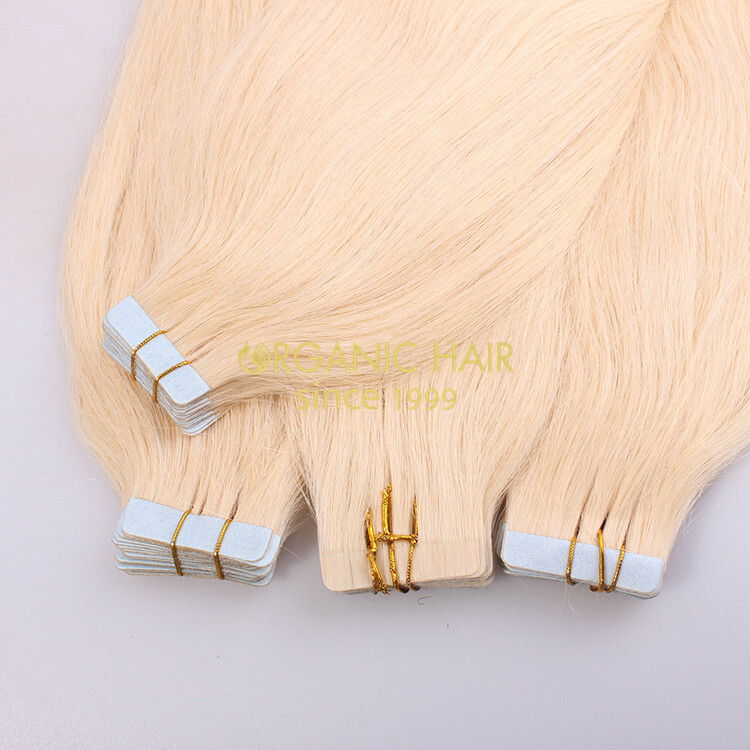 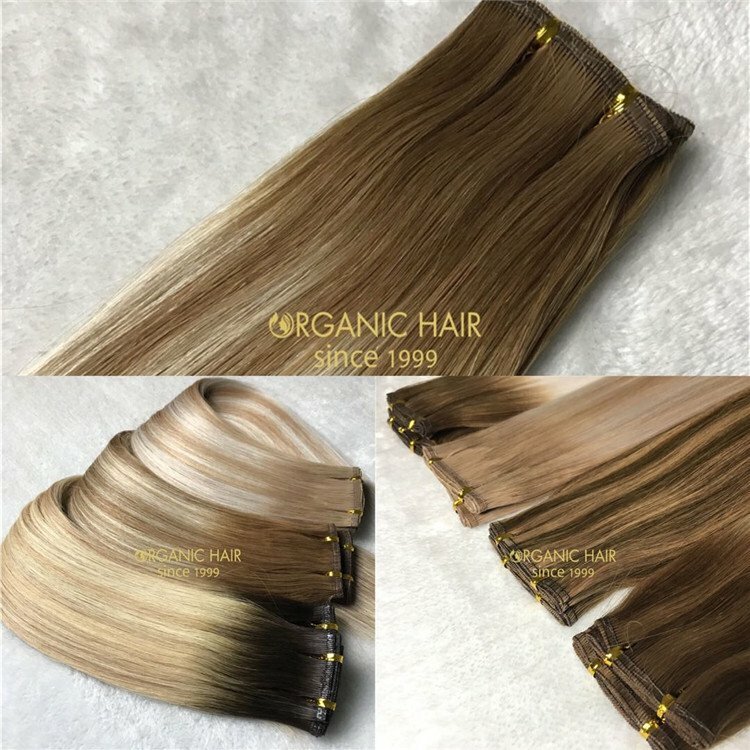 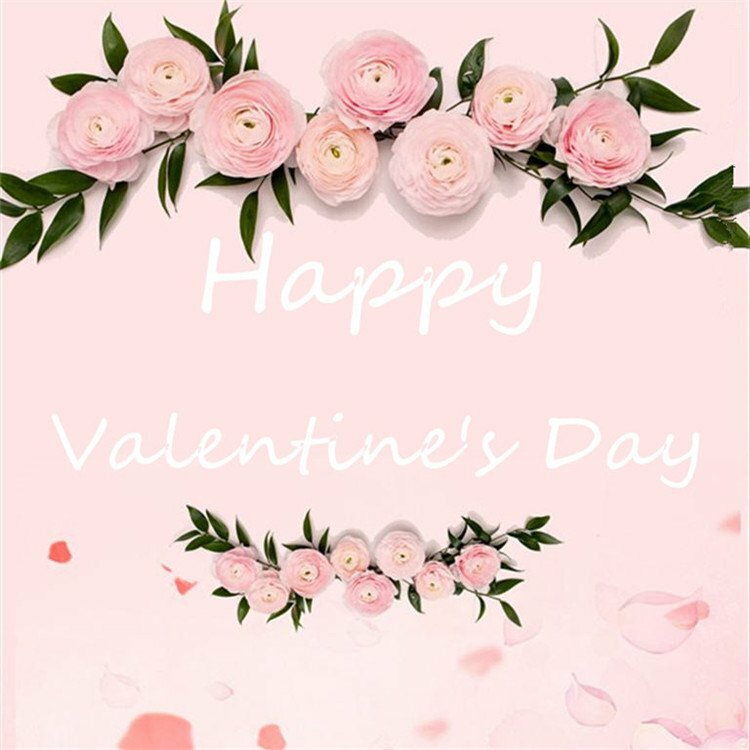 Tape in hair extensions human hair wholesale is double drawn tape in extensions European hair market and American market hot sale.Our tape hair are 100% human hair from healthy donor, with hairs natural structure intact, the inner moisture. 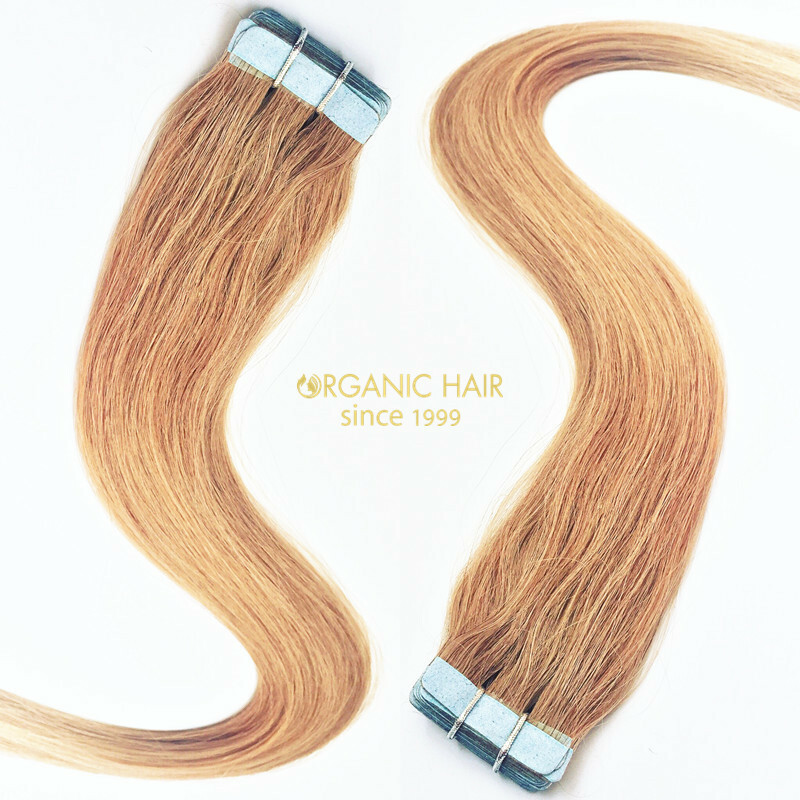 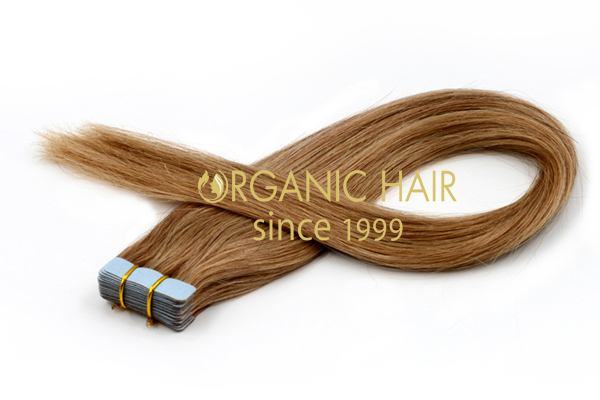 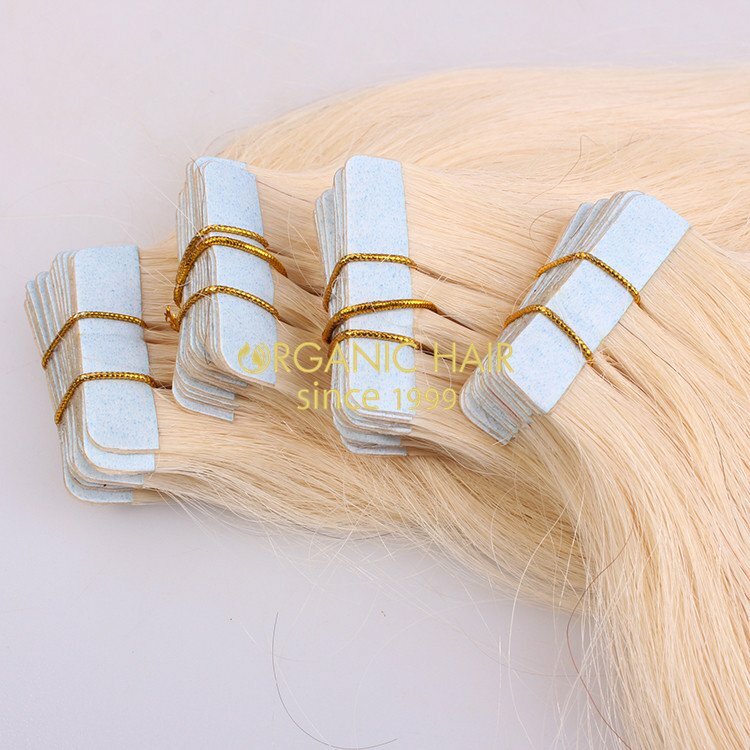 Organic Hair tape hair extensions the tape part is made from medical glue, very soft but strong enough. 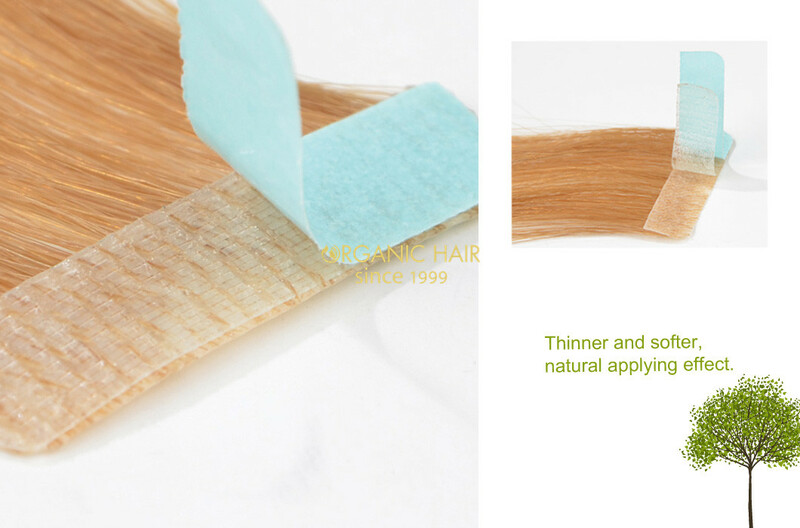 The tape is very thin and soft, comfortable and invisible.The replacement tape is German/USA imported, water/oil proof, can last 12 weeks.The replacement tape can be removed easily, no residue, no damage to your natural hair.